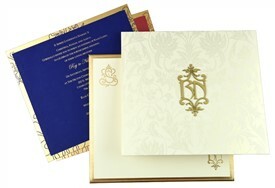 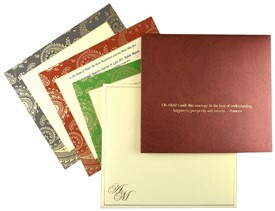 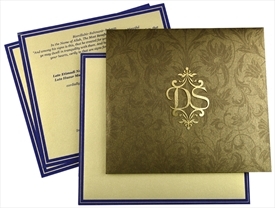 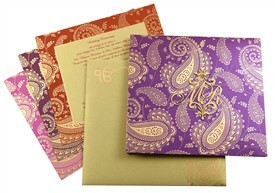 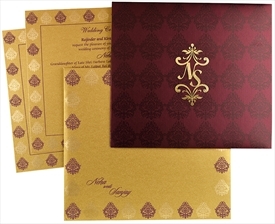 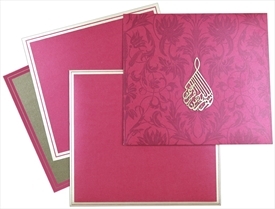 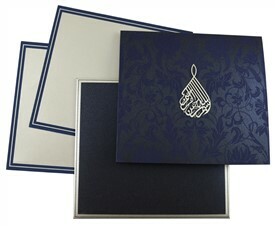 D-6097, Purple Color, Shimmery Finish Paper, Designer Multifaith Invitations. 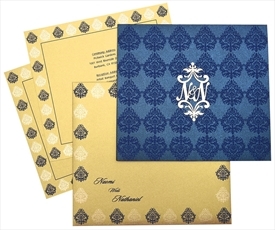 The front of card has floral pattern printed in self-color all over the card. 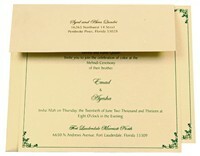 Insert and envelope has plain border. 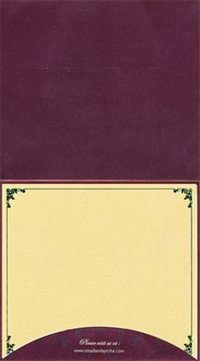 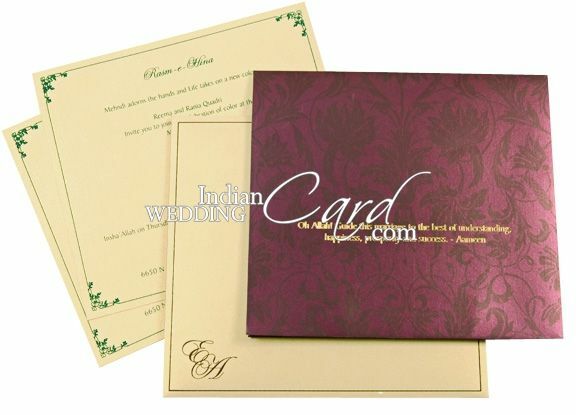 Purple color Shimmery paper (250gsm) for folding style card. 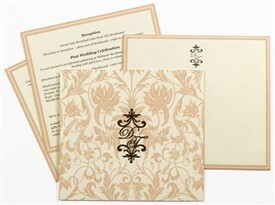 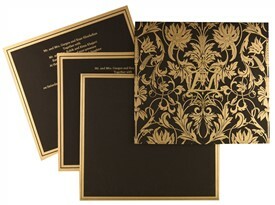 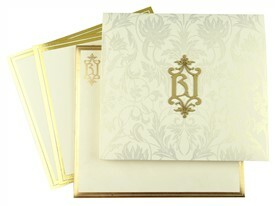 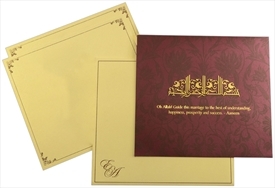 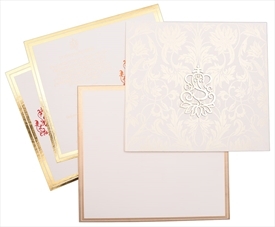 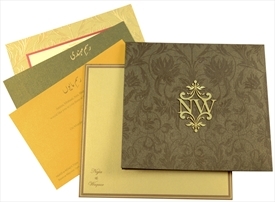 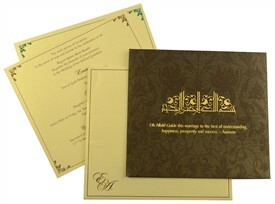 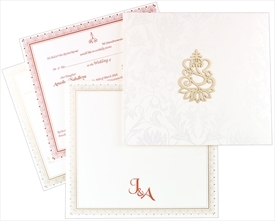 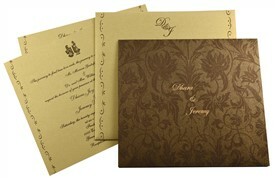 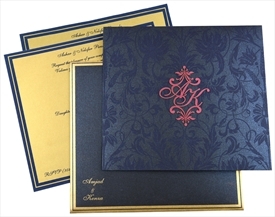 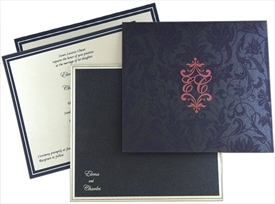 2 inserts and mailing envelope in cream shimmery paper (300gsm). 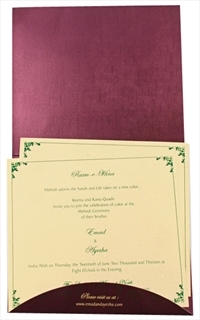 Silk Screen Printing in purple color matching to card paper.